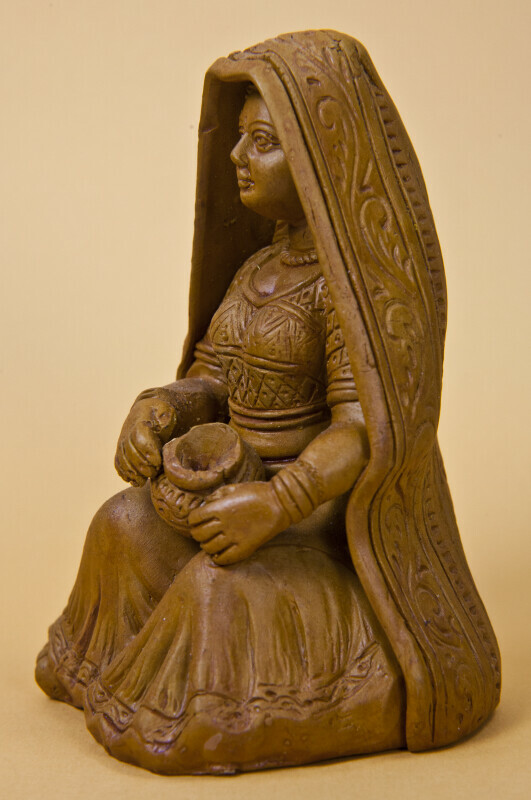 Handcrafted female clay sculpture from India. The woman is in a seated position with a long scarf with intricate designs over her head and down her back. Her clay dress is also very elegant and detailed. She has a clay necklace, and is holding a clay pot in her hands. The figure stands 5 inches (13 cm) tall.